LAKE CHARLES, La., Aug. 30, 2017 /PRNewswire/ -- LyondellBasell (NYSE: LYB), one of the largest plastics, chemicals and refining companies in the world, today announced a donation of more than $15,000 worth of food to Catholic Charities of Southwest Louisiana to support disaster relief efforts in Lake Charles neighborhoods impacted by Tropical Storm Harvey. The donation will help feed hundreds of area residents who have evacuated their homes and are sheltering in place at the city's Purple Heart Recreational Center and Lake Charles Civic Center. "Our thoughts are with those who have felt the effect of this devastating storm," said Shawn Cullen, site manager of LyondellBasell's Lake Charles Polymers Plant. "We are partnering with Catholic Charities to help provide meals to those in need, we hope this donation brings comfort to them while they are dealing with so much." 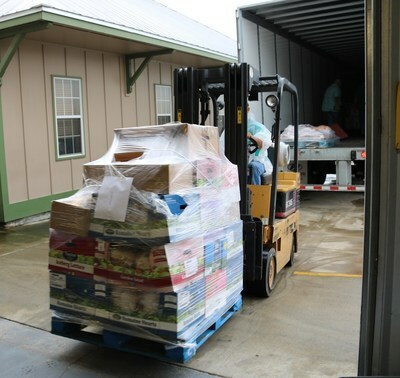 Catholic Charities of Southwest Louisiana is part of the larger Catholic Charities USA, which is a national organization that offers support to member agencies, provides disaster relief and promotes poverty reduction through research and legislative reform.